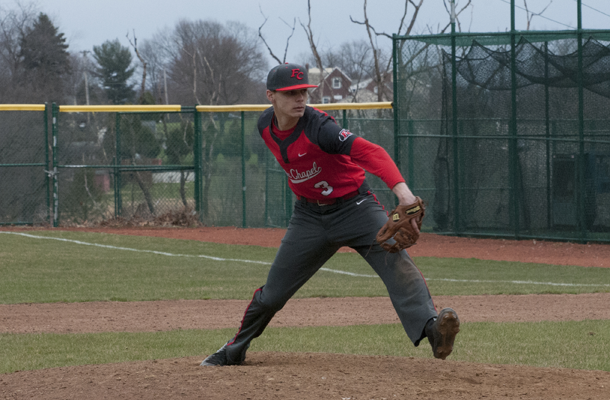 The Fox Chapel baseball team cruised to a 12-3 win over Obama Academy on April 27 to improve to 6-6 overall and 5-4 in Section 1-5A. Greg Humbert picked up the win, and Ryan Wagner had three hits, including two doubles, and drove in four runs. Dante DeBaldo had a pair of doubles and knocked in two runs. Fox Chapel girls lacrosse rolled to a 15-5 win over Indiana on April 25. Kate Goodwin outscored the Indians by herself with nine goals and an assist. Marissa Hardiman added two goals and an assist, followed by Makenna Blazer with two goals, Margeaux Essey and Lily Zaltman with a goal each and Mary Ellis with two assists. Hannah Humes and Makenzie Miller each had one save in goal. Fox Chapel improved to 11-0 in section and 11-1 overall as it overwhelmed Norwin, 24-0, on May 1. Kate Goodwin had 10 goals to lead the Foxes. Marissa Hardiman had four goals and an assist, Mary Ellis added three goals and seven assists, Makenna Blazer scored three times, Emily Scheffler and Margeaux Essey each scored twice and Rebecca Klaas picked up an assist. Hannah Humes had eight saves in goal. Fox Chapel’s Robby Shymansky is quite familiar with Peters Township’s Connor Bruce. Two of the area’s top tennis players, they compete often, including at last year’s WPIAL Class AAA singles championship. Bruce won that meeting, but Shymansky got some revenge Friday afternoon at this year’s WPIAL singles final. The Fox Chapel junior swept to a 6-4, 6-3 victory over the Indians’ sophomore. The players took turns blasting powerful forehands with not much play at the net. Long rallies were at a premium as were long games. In the first set, Shymansky broke Bruce in the third game and that break held up. The second set began with second-seeded Shymansky breaking the top-seeded Bruce in the first game. He also broke him in the fifth game to take a 4-1 lead. Bruce broke right back and held his serve to make it 4-3, but Shymansky held his serve and broke Bruce for the third time to claim the championship. “It feels good to be the WPIAL singles champion,” Shymansky said. “I felt good going into the match, and I didn’t feel like the underdog. Connor is a really good player, and I feel that I’m a very good player. Shymansky didn’t make any shifts in his strategy from past matches with Bruce. Shymansky cruised to the Section 3 singles championship on April 30 and May 1. In the first round, he made quick work of Plum’s Colin Lewis, 10-2. He then defeated SSA’s Colin Gramley by the same score. He swept Allderdice’s David Missy, 6-1, 6-1, in the semifinals before defeating Marcus Mitchell of Allderdice in the finals 6-0, 6-0. SSA’s Naman Dua made it to the semifinals before falling to Mitchell, 3-6, 3-6. In the consolation match, he needed three sets to defeat Missy, 6-3, 5-7, 6-0. FC’s Milo Baron fell to Mitchell in the quarterfinals.